I had this watch for sometime. I got it from my dad. I don't know how long he had it and where he got it from. I don't even know the age of the pocket watch. 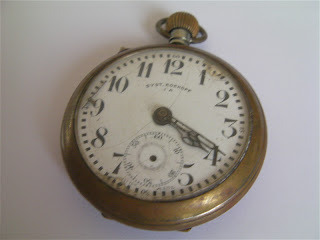 I decided today to send the pocket watch off to my watch service guy. 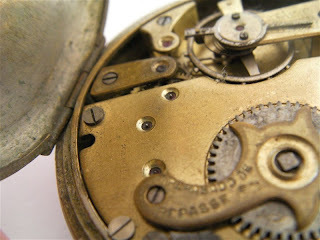 He had a look at the pocket watch and said that he can get it working. 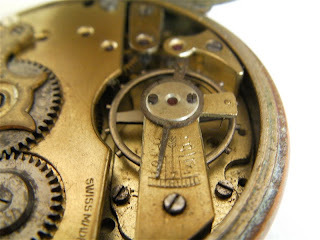 He will service the movement, clean the case, hands and dial. However he will not repair whatever damage there is on the dial. He said it will take about 10 days. 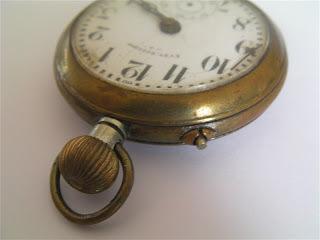 Here is the pocket watch. The second hand on the sub-dial has broken off. The button is for adjusting the time. The case back. 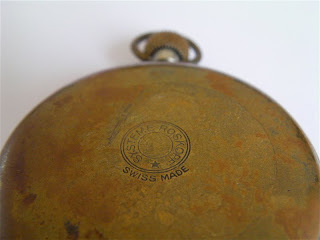 It is signed SYSTEME ROSKOPF. 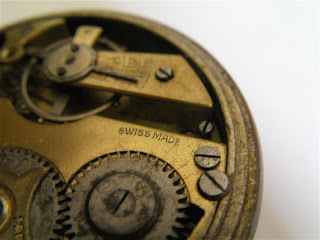 The pocket watch is Swiss Made. 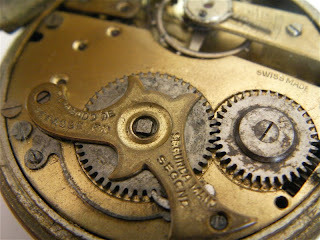 The movement needs a good cleaning and service. Re-oil and regulate. I post a review once I get it back. If you want to sell it. Only IF. 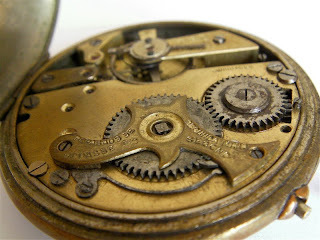 Give me a call my phone number is 380505375224. i am an antique watch collector. Welcome to the blog. Thank you for the information on the jewel count. As for me selling the watch, not at the moment, but thank you for the offer. Welcome to the blog. Apologies but I have to remove your comments.